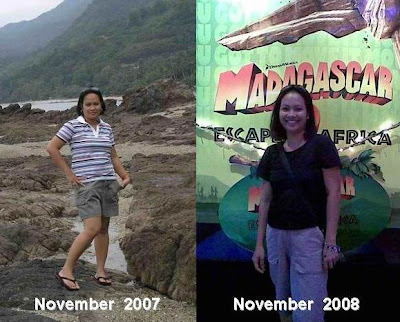 How I Lost 23 Unwanted Pounds, The Photos | To Be, To Be. Tutubi. Here are the before and after photos about my recent post on how I lost weight. The first photo was taken during our teambuilding activity in La Luz Resort in Laiya, Batangas. The second was taken last month during our company's family day. See the big difference? I was hesitant at first to show the pictures, but now that they are out here, I will be compelled to watch my weight even more and to strive for a healthier lifestyle! What about you, what is your weight loss story? Wow, congrats! You look great! eekkk! wala akong masabi hahaha kainis, i have no idea how to get into the weight loss thing again! as in nakkkaa it's too darn hard! hahaha! good for you!